I recently asked my brother, Adam, what his earliest memories of SMA are. At the time of my diagnosis, he was only 2, but his sharp memory has served as a powerful tool whenever we’re reminiscing about our childhood. Adam has always been like that. Growing up, he always got straight A’s in school and absorbed everything around him like a sponge, and to this day he can still recount vivid details of our past. I, on the other hand, barely remember what I had for lunch yesterday. So, from the perspective of your average sibling rivalry, I’ve always envied this about him. When I asked Adam of his earliest childhood memory, I wasn’t at all surprised at how distant the recollection was. However, I was taken aback by the story itself and the feelings of sadness Adam must have had. I was a little over 1 year old in that hospital bed. Adam was only 4. At first, I was crushed upon hearing this. How heartbreaking to think my big brother’s first memory of my disease was of his baby sister dying. But the moment passed, and then I grew angry when I thought about the implication SMA has had on my loved ones — especially my brother. No child should have to endure that. No child should have to feel the grief in goodbye after learning their baby sister was going to die of an incurable disease. After learning of Adam’s earliest experience with SMA, I started collecting snippets of memories in my head of all the times he was put in a position where SMA had the upper hand. I ended up losing count, but there was one pattern I recognized throughout: Adam’s unwavering love for me. He didn’t shy away from the destructiveness SMA tried to cause. He didn’t see me as some helpless creature who robbed him of normalcy in his childhood. He simply saw me in spite of my disease and chose to shower me with the most love, anyway. 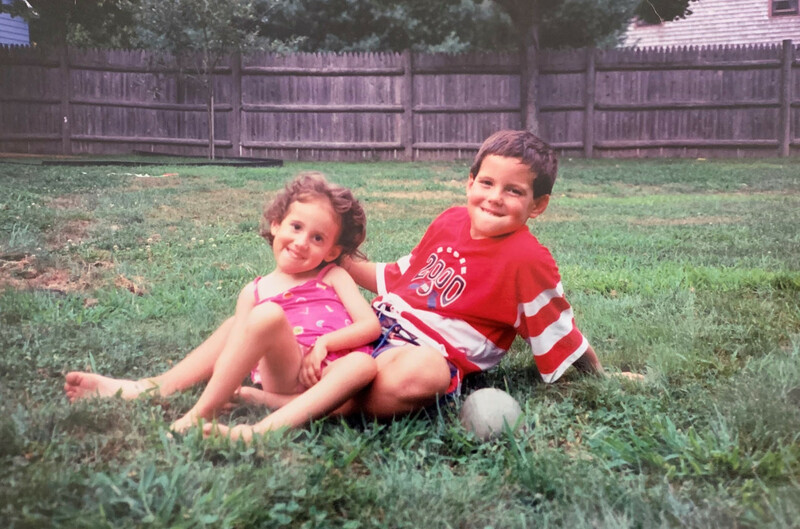 This past week, the U.S. celebrated National Siblings Day, a day when people hop on social media to show a little love for their brothers and sisters, so I’d be foolish to not take it one step further with this column. After all, I am the first to recognize how rare brothers like Adam are and the first to proclaim how blessed I am to have a sibling like him. This story I’ve shared with you is just a fraction of what he has endured with SMA. Yet, it’s a true testament to the fact that no matter what battle we face, Adam will always be there armed with his indestructible love and strength to protect his little sister. The post My Brother’s Earliest Memory of SMA Crushed Me appeared first on SMA News Today. Previous: Immunocompromised? Watch Out for the C. Auris Fungus.